Such an adorable card, loved the blue water wash at the background. So soothing colors and cute! This is adorable! So sweet! Awwww Kaja, this is so cute, that little bear is just adorable! What a lovely card! I love the CAS look with the bear and the bees. The swipes of blue really help ground your lovely scene. Kaja, I love the card! Thanks for a great chance! Love the theme! Super cute card! The Bitty Bear is perfect with the PPP Bees! Love it! this card is so adorable Kaja! It's a really sweet card!! The bees and the bear are cute!!! Your adorable card makes happy! I love the bear eating the honey that the bees made! It is perfect for this hop! 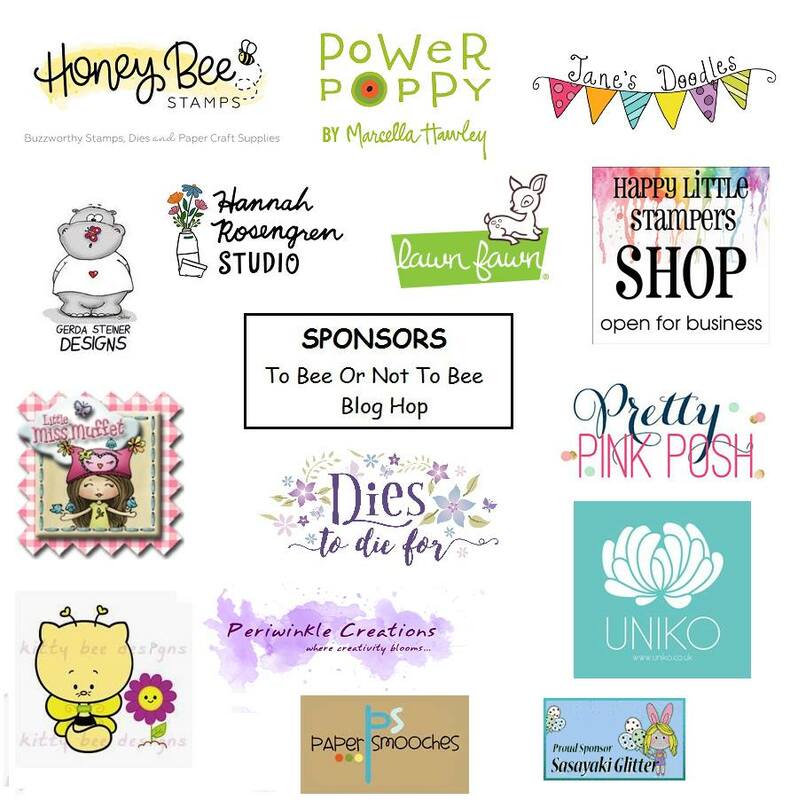 Thanks for supporting the save the bees cause! the bear as he eats his honey. Adorable birthday card! I love the bear and the bees! This is so cute! Love the happy little bear and the sweet bees. Lovely card Kaja..I love the little scene you created.. Adorable! 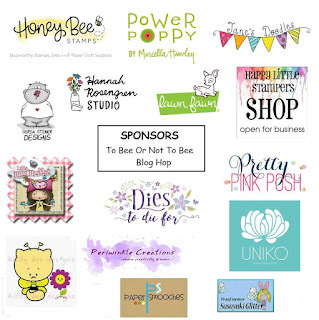 I am so glad to reach your blog with this blog hop...awesome lovely card as always...both the bear and bees are damn adorable....simply love your cards,thanks for sharing!! Love your bees and the cute bear! this card is just darling with the bear with his nose in the honey jar!!! How cute card!!!! Just adorable!! oh my goodness, that little honey loving bear is adorable! What an adorable bear! Darling!! Such a cuddly, cute and sweet card. Revived my childhood memeomes of the jungle book!! Oohhh again a cute bear with a pot of honey. I like the whole look of your card. Oh that little bear is just adorable! Bees, a bear and honey - what could sweeter. Perfect mix of images and a fabulous card. Еhis bear loves honey! Awesome! Love your adorable bee card! So cute with the bear eating honey and the bees. Kako zelo simpatična voščilnica. Prekrasen medo in čebelice. Buzzing and humming with delight in seeing your "honey' of a bees-and-bear card! So incredibly sweet! 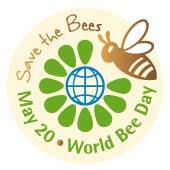 Protecting bees is such a worthwhile cause to support!